Lori Anderson of Pretty Things has done it again. She's come up with another brilliant idea for a blog hop. 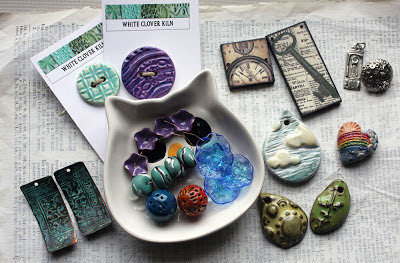 For those who don't know, Lori is the creator of the Bead Soup Blog Party. Now, she's hosting a Bead Hoarders Blog Hop. The idea behind this new hop is to basically use some of those beads that you've got stashed away. You know the ones. . . those beads you've been holding onto forever because they're just too awesome or intimidating to work with or part with. I believe all jewelry artists have at least a few of these hoarded beads. The idea of the hop is to use some of those and post pictures of what you make on July 20th. Easy peasy! Here are some of my 'Hoarded Beads' that I'll be selecting from. There's still time to participate. Head over to Lori's blog post, grab the button, and sign up! Oh, and here's a new item in my shop. . .
What are you waiting for? Break out those hoarded beads and play along. those are some gorgeous beads you have stashed, I really like the copper patina etched squares and the resin pendants. It took me a little time to decide as well, but I figured that I only really have to make ONE thing with any of my hoarded stash and I should be able to do that before the deadline. . .hopefully! I hope you decide to jump on board as well.. But if not, it's totally understandable. At least you're being creative in other ways. I'm glad you like my stash as well. Here's hoping I can make something of it! Thanks for swinging by. I'm excited to see what kinds of beads everyone 'hoards'! And to see what gorgeous creations come about! I do have quite the stash of hoarded beads, mostly handmade, my hesitation to participate is my lack of confidence that I'll do them justice. I keep waiting until I become more skilled! 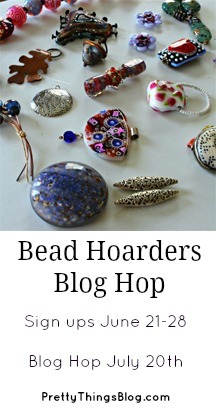 Your bead' hoard' is beautiful, Hope! Looking forward to reveal day! Kel- Oh, I know. . .I can't wait to see what else is hoard-worthy. My hoarded ones are like yours, handmade beads that I can't figure out how to really accentuate their awesomeness. Sigh, I guess I'm going to have to make something with at least one of them (I can always tear it apart later!) Ha! :) Thank you for stopping in! That is one lovely stash of hoarded beads there! Thanks! I'm sure you can see why it's hoarded. I plan to narrow these down to at least a few to try to create something, but those were just the examples of my hoard. ;) I appreciate you swinging by!! What a great idea for a blog hop! 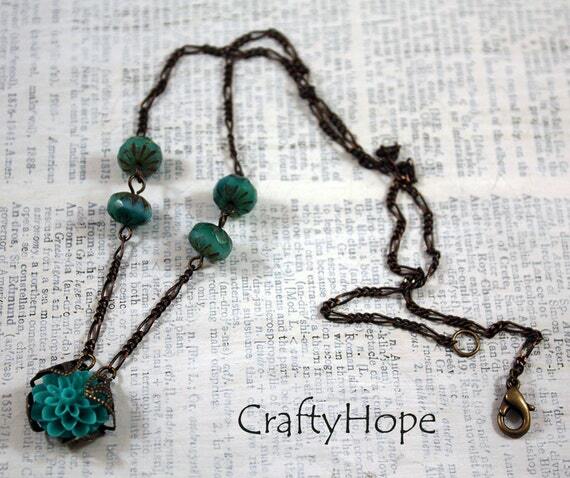 It's too bad I missed the cutoff for signing up - I have plenty of hoarded beads in my craft stash! Kimber- Lori's so smart. I love that we don't have to send out any beads, just use our own. I was afraid I had missed the signup also. You can always just 'play along' and use those hoarded beads anyway. . .